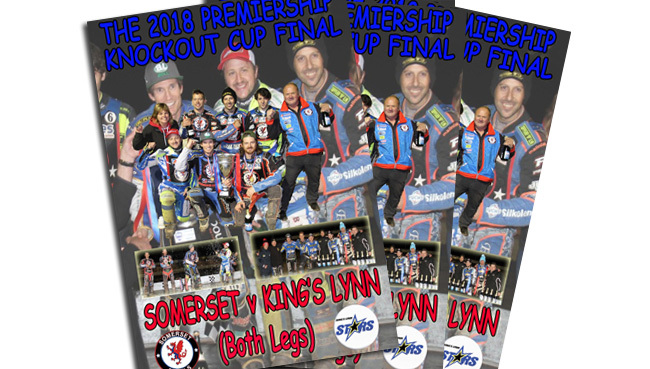 SOMERSET V KING'S LYNN - 2018 PREMIERSHIP KNOCKOUT CUP FINAL (BOTH LEGS). See how the Rebels and the Stars battle over two legs for the last Premiership silverware of the season as the Rebels win their first ever silverware in the top flight of British speedway! All 30 heats from The Oak Tree Arena and The Adrian Flux plus reaction to the action captured.